Our hotel is family run, which means that we are personally committed to making your holiday as pleasant as possible. Hotel Anna overlooks one of the most beautiful bays on the island. It is set in a peaceful, natural location just 300 meters from the golden beach of Fetovaia, which can be reached on foot in a few minutes along an easy footpath. We offer four different types of rooms, according to their position relative to the sea and complete renovation carried out on some. All our rooms are comfortable, even the smaller ones, which allow you to take advantage of our best rates without sacrificing the pleasure of staying by the bay of Fetovaia. All our rooms have bathroom with shower, hairdryer, telephone, safe and free Wi-Fi. Our Superior and Fetovaia rooms offer additional facilities. A healthy breakfast outside on the terrace is definitely the best way to start your day. A variety of fresh croissants, cereals, cakes, jams, yoghurt and fruit juices as well as cheese and salami. 20% discount on all confirmed bookings with bed and breakfast. Payment on booking, non-refundable and not combinable with other offers. 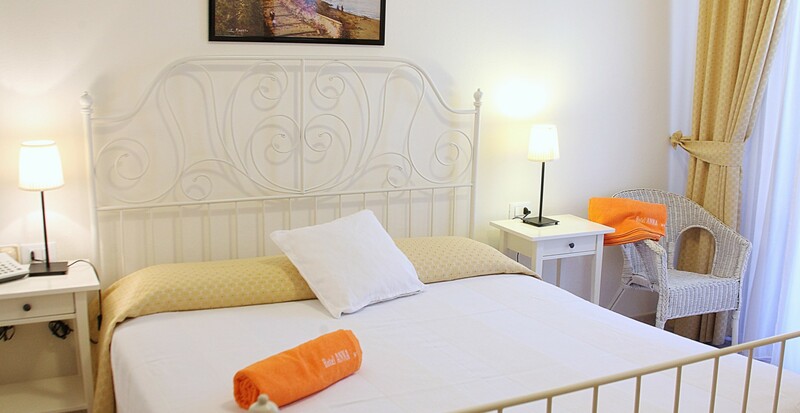 Budget Double Rooms: smaller room with double bed and small balcony, private bathroom with shower, hairdryer, air conditioning, satellite TV, phone, free W.-F. Internet. Double room of about 10 square meters located on the mezzanine floor, the rooms are equipped with bathroom with shower, air conditioning, mini fridge, courtesy warms water, safe, telephone, internet wi-fi, TV LCD. 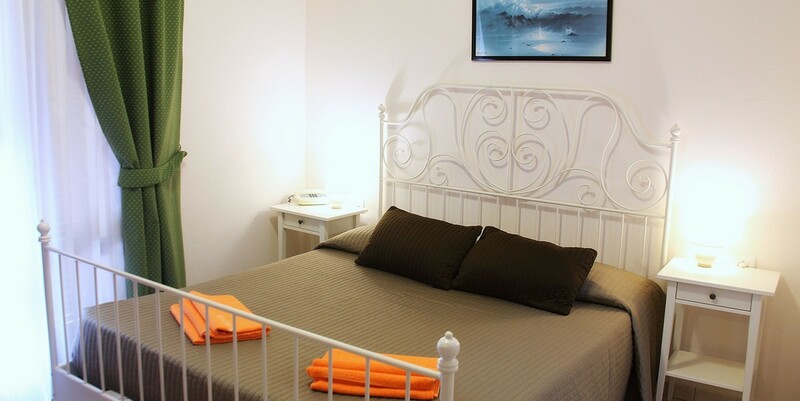 Double room of about 10 square meters with balcony located on the mezzanine floor, the rooms are equipped with bathroom with shower, air conditioning, mini fridge, courtesy warms water, safe, telephone, internet wi-fi, TV LCD. Dependance: situated in the second block of the hotel on the ground floor or in the first floor; all have a balcony, private bathroom with shower, hairdryer, independent air conditioning, safe, phone, free W.-F. Internet, 26 inch colour Lcd TV. Standard Rooms: completely renovated rooms with double bed; all have private bathroom with shower, hairdryer, air conditioning, safe, 26 inch colour Lcd TV, phone, free W.-F. Internet and fridge-bar. Completely renovated rooms on the first floor with double bed; all have a side balcony overlooking the sea, private bathroom with shower, hairdryer, independent air conditioning, fridge-bar, kettle, safe, phone, free W.-F. Internet, 26 inch colour Lcd TV.